Azlan Zahari and Zaiton Abdullah (Zai) never expected to bake cookies and cook rendangs for a living. It was all down to a sweet tooth, a love for great-tasting food, and sheer coincidence. 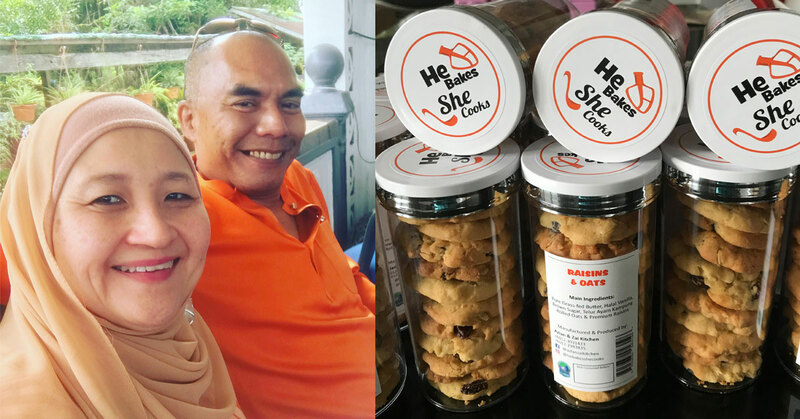 With the both of them in their late 40s, Azlan and Zai now run He Bakes She Cooks (HBSC)—a home-based bakery and kitchen dishing out cookies, cakes, pies, as well as savoury local delights. Before all this, the couple were based in the Netherlands due to Zai’s work commitments. It was then that Zai began to experiment with new recipes, testing them with friends and family. Thus, the business was born. During that Raya of 2014 they started out HBSC, and now operate out of their home in Ampang. “When we started, we called ourselves ‘Azlan & Zai Can Cook’, but then we changed it to ‘He Bakes She Cooks’ in 2017,” the couple said. Currently the couple serve up a slew of delicious food items ranging from their Original Chocolate Chip cookies (one of their best-sellers), their Dreamy Lavender Cake, to their Laksa Johor (another popular offering). The recipe for their cookies—one of the main reasons for their success—was modified from another recipe that they found. 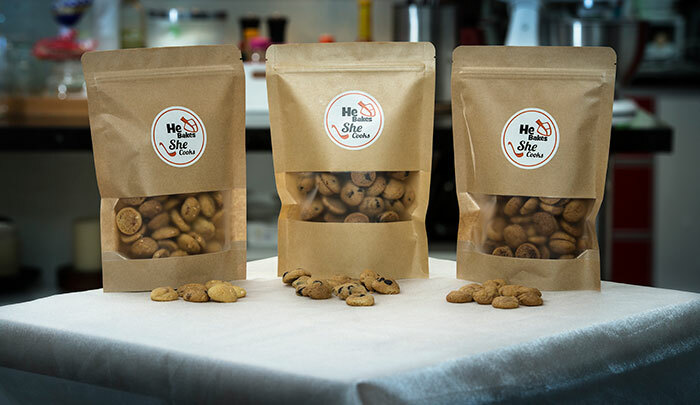 “Zai found a recipe for cookies that we liked and we have since customised and adapted the recipe to suit ours and our customers’ tastes,” said Azlan. 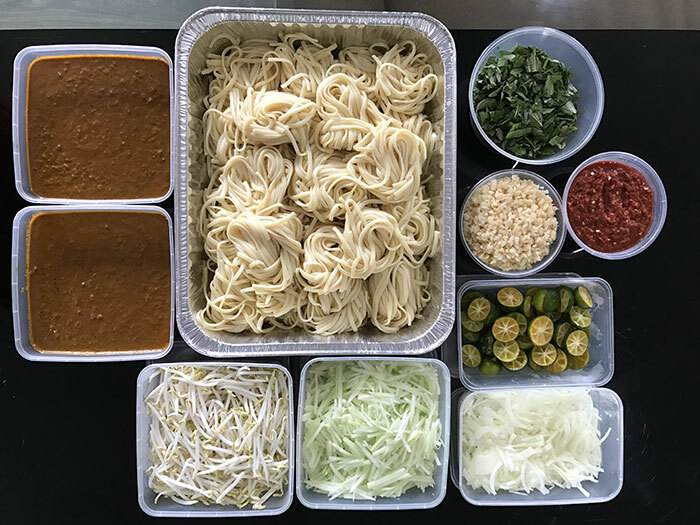 Their Laksa Johor—another one of their specialties—is also a hit with the customers and comes based off a recipe by Zai’s mother. 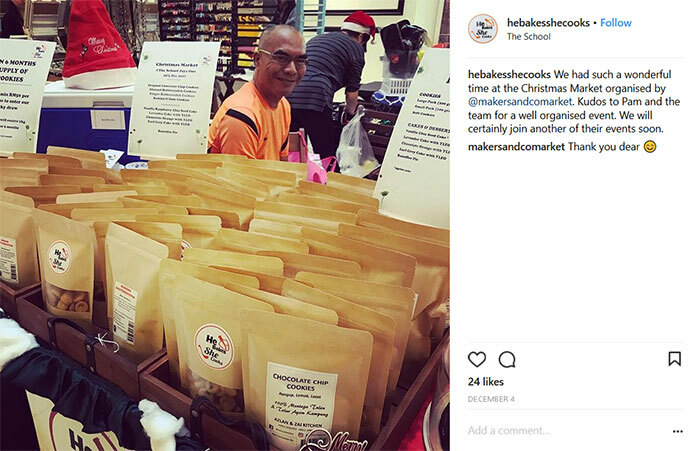 One of the ways the couple sets themselves apart from their competitors is by using only the highest-quality ingredients in their cooking, such as using free range eggs in their Nasi Lemak and imported pure butter in their cakes and cookies. On the popularity of their food and cookies, the couple said that they have enjoyed a positive response. The couple even reckon that they’ve sold about a metric tonne of cookies over the past two years. When first starting out, the couple noted challenges in meeting supply with only the both of them running their business. Today though, it’s all about getting themselves to be noticed among the sea of home-bakeries and home cooked food kitchens out there; and two of the ways that the couple aim to do so is by the use of premium ingredients in their cooking, and a strong presence on social media. The couple run both a Facebook page and an Instagram account, with updates posted daily. The accounts were first started by Azlan, but are now run by Zai since her exit from full-time employment. A post from HBSC’s Instagram page. And from time to time, the couple also set up shop in pop-up markets and bazaars. Of course, they are aware that the F&B scene here can be competitive. But a little dream of theirs is also to have their products sold in “premium” stores and outlets. And with how things are going, it could only be a matter of time before it happens.